The Orion Exploration Mission 1 (EM-1) spacecraft is about to get its heat shield, which is manufactured in large part by Lockheed Martin. Building the heat shield involved a so-called out of autoclave (OOA) cure process, a high temperature, high pressure method for manufacturing composite materials, such as carbon fiber and epoxy resins. 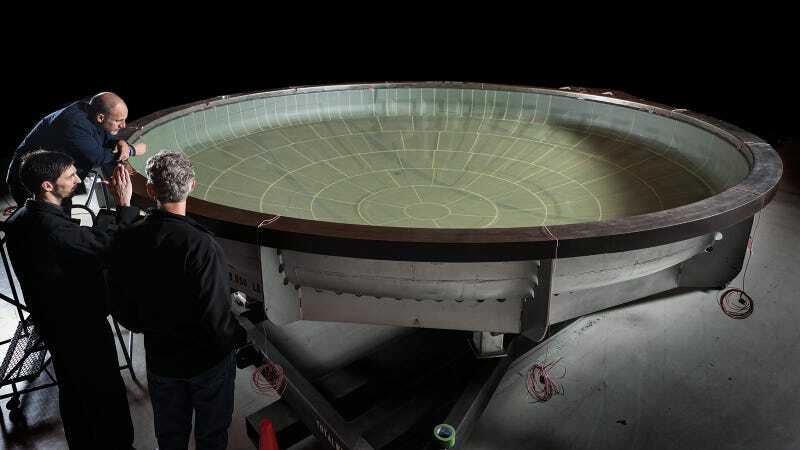 Orion’s heat shield is a stiffened skin design, and this curing process was the last step prior to attaching titanium stiffeners to the interior surface. Once the skin and stiffeners are attached, ablative material–called AVCOAT, used previously during Apollo missions–is applied to the exterior. In the rather impressive photo above we can see the heat shield being inspected by Lockheed engineers. Hot.